Yippee! I am now a member of the DT at Come and Get It Challenges...and this was such a fun digi to work with. It's from Bugaboo Stamps, and is called, "Tall Birthday Cake". I simply downloaded it today, which is the cool thing about digis...instant gratification! You simply MUST visit and enter the challenge today! For this challenge, the colors to use are light shades of blue, green, and pink. I used some ancient CTMH paper for my background, along with black as my neutral. I put a slant on the layout, and turned it sideways. The icing is sparkled with Stickles, and the black gems are from Michaels. The ribbon is from Walmart. The sentiment is from a stamp set by H and M Stamps, which I embossed in white. The great thing about acrylic stamps...you can bend and shape them, as I did in the oval. I am entering this card in some challenges...why not? Hope you get yourself over to Come and Get It Challenges for the newest wave of creations to inspire you, and our updated challenges! Stunning take on our challenge. Love the colours. Thanks for joining us at Crafts4Eternity. 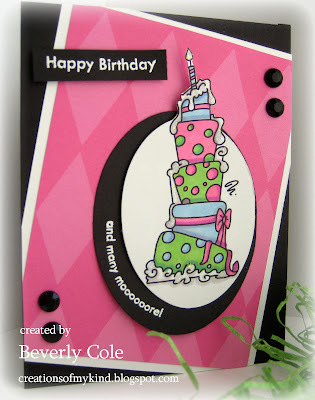 Fabulous card Bev! Love all the details and of course the sparkly part! 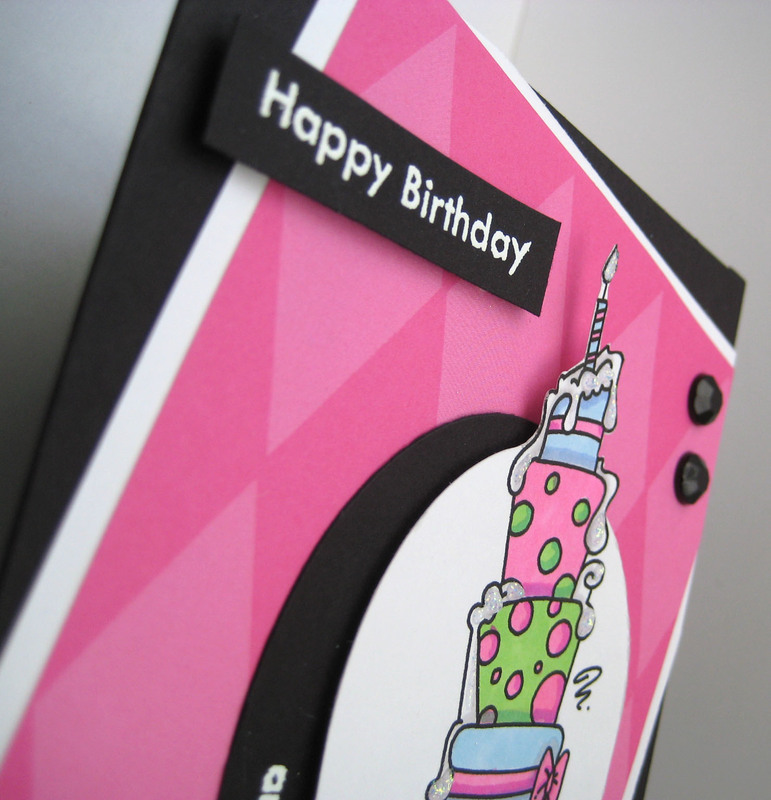 Visiting your card from the Catered Crop Challenge - love the bright colors and the 'many moooore' sentiment! That is exactly what my kiddos sing at the end of EVERY birthday song! Your card is so fun and cheery! Congrats on your new DT assignment! 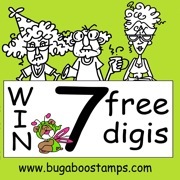 Thanks for joining in this week's Sweet 'n Sassy Digi Challenge. What a great card! I really like how you designed it on a slant. The colors are fantastic. Thanks for joining us in this week's SNSDC. 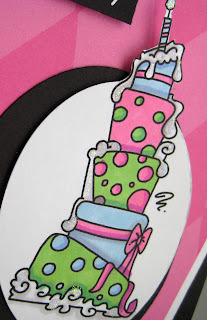 Oh what a great stacked fun cake - lots of bold colors and beautiful coloring. Thanks for joining in the fun at Dream Valley Challenges this time in our Something Old, something New Challenge! This is so cute. Gorgeous design. A perfect card for this best occasion of birthday. I appreciate this. Thanks for sharing. This must be Peter's House! I've Seen A Purple Cow! Your a Gem at Tuesday Throwdown! Come and Play Tic Tac Toe!